Ionic Balancer is part of the BallinSet, which also comprises Calcium Blend, Magnesium Blend & kH Blend. Ionic Balancer is available in 250, 500, 1000 & 3000ml bottles. 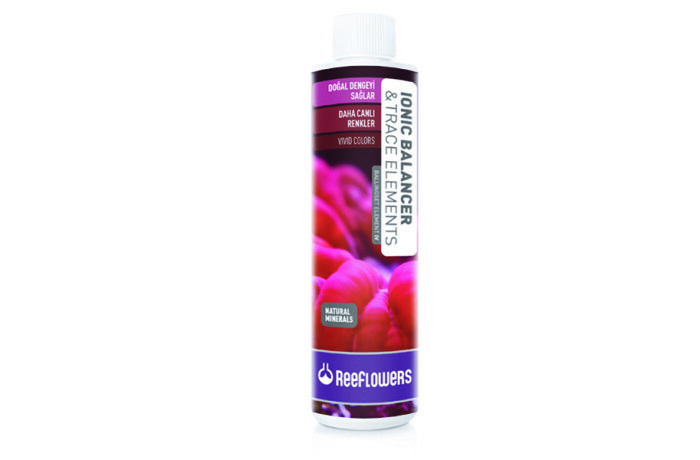 Please click here to find your nearest Reeflowers stockist. solution for each scale of Calcium Blend solution. added continually via a dosing pump.